Thanks to long, tedious primary school history classes, Joseph Banks, the botanist aboard Captain James Cook’s voyage to Australia, is often thought of as something of an uninspiring plant nerd. But, in a world before movie stars, he was a celebrity de jour, respected for his vast scientific knowledge and part of King George III’s inner circle. Rumours often circulated about the possibility he'd sired many illegitimate children. It was Banks who pushed hard for England to establish the penal colony of New South Wales and, when the First Fleet set sail, Banks made sure they were loaded with hemp seeds; he felt the hardy crop would fare well building the materials needed to create a new country. Banks was right: in parts of Australia hemp is quite the crop. It's hardy, doesn’t need much water and absorbs high levels of carbon dioxide from the air as well as heavy metals from the earth. But, thanks to hemp’s close relationship with marijuana, the crop hasn’t always had the best run in Australia. Though hemp has been used in clothing and manufacturing, the legal consumption of hemp seeds is much newer. A year ago, the sale of hemp seeds in edible food was legalised and hemp products are now growing like never before. Among the food and drink manufacturers keen to explore what hemp seeds can do are the country’s brewers. 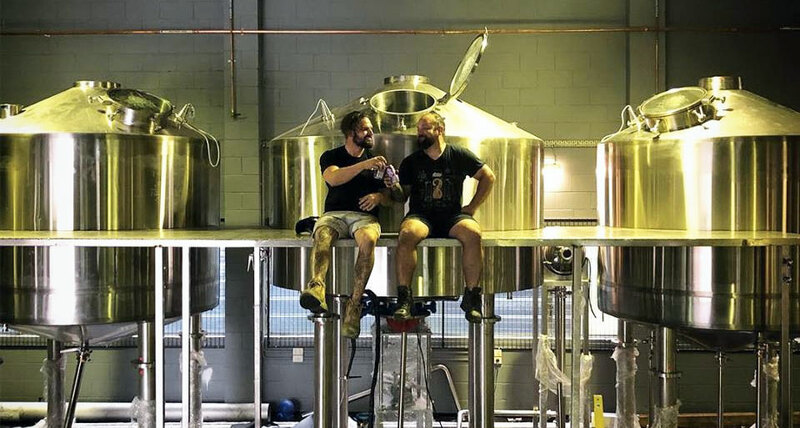 Last week saw Hemp IPA, a collaboration between Young Henrys and clothing brand Afends, launched in Byron Bay (of course) and, while the beer isn’t the first in Australia made with hemp seeds, it is the first to use water soluble hemp seed oil. It’s also a beer that’s being long in the making; The Young Henrys team looked to experiment with hemp seeds and oil as soon as they saw the law was changing. “It was something we started working on around 18 months ago, so it’s kind of been a long road,” says Oscar McMahon, one of the brewery’s founders. Afends are big advocates for the use of hemp in the clothing industry and, in some ways, making a beer with hemp was a no brainer for the two companies. Both hops and hemp are members of the Cannabaceae family so it should be little surprise the two plants can complement each other well. 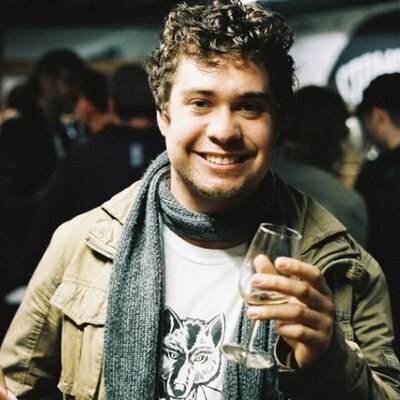 “There are quite a few terpenes – they are more or less the flavour compounds – that are similar in hops and hemp,” Oscar says. 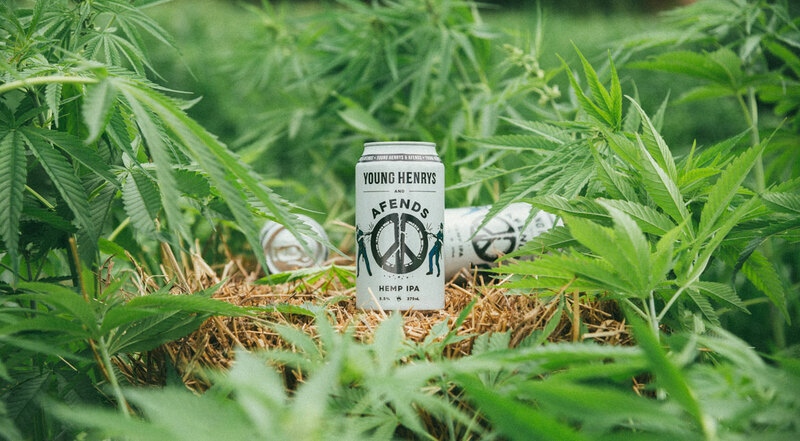 The new Hemp IPA from Young Henrys and Afends. To get the flavour Young Henrys wanted from the beer, the Newtown operation turned to Halcyon Bioscience, an Adelaide based company that largely focuses on creating dietary supplements though water soluble technology. Dan Schultz from Halcyon says they were able to transform hemp oil so it could easily absorb into beer without altering the oil’s structure. “Not a molecule has been changed," he says. "We’re not altering the oil, so all the goodness in the oil and the original flavour and everything is still intact. Dan adds that, since consumption of hemp seeds was legalised, the number of edible products involving hemp is growing. “It’s good to see hemp taking off and people getting innovative with it and I’m sure you’ll see more and of it over the next year,” he says. From a brewing perspective, the water soluble hemp seed oil means a lot of the aromatics from the plant are able to stand out in the beer. “We got this really incredible, herbaceous grassy note and we found that sat really nicely in amongst some fruity hops.” Oscar says. “The flavours and aromas are not dissimilar to those piney or grassy hops that you might see in some American IPAs. For Hemp IPA, hops were still used to give the beer its bitterness and additional flavours with the hemp oil – along with hop hash – used to dry hop the beer. Hop hash is something of a byproduct of pelletising hops, which some brewers find desirable due to the high intensity of alpha acids and essential oils it can contribute to a beer. In America, there’s a rising tide of breweries experimenting with brewing different kinds of compounds, though their legal status can be murky. Although the use of hemp seeds in food and drinks is now legal in Australia, there’s still certain restrictions that apply. Hemp seeds need to contain below a certain level of THC (the psychoactive compound in weed that makes you high) and low levels of Cannabidiol (CBD) compounds. Beyond those requirements, the way a hemp can be marketed is restricted too. Jimmy Young and Dave Ward of Aether Brewing released a hemp double IPA in March. Brisbane based Aether Brewing launched its own hemp beer, the HIIPA, at a Brewsvegas event earlier in the year and followed that up by releasing it in cans. The beer has moved well for the Brisbane brewery but, due to its own label design, when they brew it again it will be relabelled. Unlike Young Henrys, Aether’s hemp beer relies on the hemp seeds themselves that no longer contain the oil. Aether co-founder and head brewer Dave Ward says they instead add a lot of flavour to the back palate and their nutty character led the brewery to focus on complementary botanical notes from Loral, Equinox and Galaxy hops. “After they remove the oil, it’s pretty much what’s left at the end, which is why it has that earthy and nutty character,” Dave says. Currently, work is underway on Aether’s second brewery and, once it’s completed, the new-look HIIPA will be unveiled. Dave says he’s particularly keen to try Young Henrys’ Hemp IPA and is excited to see how other breweries use the plant. A few years ago, Melbourne based gypsy operation Kettle Green used toasted hemp seeds in its debut Holy Grale, Rocky Ridge released Dr Weedy's last year, while forthcoming Queensland brewery Silver Fox has stated an intention to use hemp in its early releases. “It could be one of those things that come and go like kombucha,” Dave says. “People get on it for a little while and it's cool and they like the supposed health benefits but it disappears pretty quick. Photos from the Organic Hemp Fields of Byron Bay supplied by Young Henrys and Afends.